While The Expanse won’t return to Syfy until 2018, the cast showed up at SDCC 2017 to tease next season – including Wes Chatham (Amos Burton) and Cas Anvar (Alex Kamal). The conversation includes a request for more lasagna, what family means, and the truth about human nature in the scope of sci-fi storytelling. Big happenings for fans, with some thoughtful commentary from Chatham and Anvar! Check out our video interview below. And don’t forget to check out season three of The Expanse! 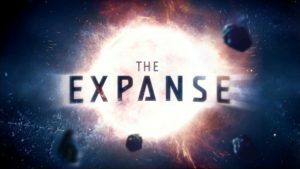 And if you missed The Expanse season three trailer, catch up here.